 Geneva School of Boerne is a K-12 classical and Christian school; we teach students to lead as servants, scholars, athletes and artists. Our graduates are equipped with a biblical worldview and are critical, logical thinkers who are able to discern truth, beauty and goodness. Our teachers know our students. Teachers lock arms with parents in the time-tested classical and Christian education model where Socratic dialogue trains students to civilly discuss ideas and articulately present persuasive arguments. Good manners, humility and grit are expected whether in the classroom or on the sports field. We offer a curriculum that builds upon itself from year to year, a required senior thesis presentation and a school-wide spirit of family volunteerism. The education Geneva School of Boerne provides is founded on the principles and values set forth in scripture. We believe parents are responsible for and should be active in the education of their children. (See Geneva’s Philosophy of Discipleship for information on the role of the school in relation to the home and the church). A classical and Christian school offers a unique and rigorous educational option for the families in our community. Christian means that we teach from a biblical worldview—students learn what God says in the Bible and then they learn to evaluate what they read or hear according to His standard. Perhaps it is more accurate to say that we teach from a Christ-centered worldview. We are not trying to keep up with current cultural standards. Instead, we stay committed to God’s standard with humility and grace. The Grammar stage (grades K-5): students love facts and are good at memorizing, so we teach them through repetition, rhyme, jingles, songs, etc. The Logic stage (grades 6-8): during this time, students are taught to think and reason, logically. In order to facilitate this, they are taught formal logic. The Rhetoric stage (grades 9-12): students learn how to communicate effectively, using all the facts they have learned in an articulate, winsome and humble manner. We believe in one God eternally existing in three persons, of one substance, power and authority, Father, Son and Holy Spirit. The whole universe was created by God from nothing for His own pleasure. He is rightfully sovereign and rules over all creation. He is entirely good and gracious, all-powerful, all knowing and all loving. Matthew 28:19; II Corinthians 13:14; Genesis 1:31; John 1:3. We believe that man was originally created in the image of God to enjoy fellowship with God and to have responsibility for the earth. God created male and female and He established marriage as a holy union between a man and a woman for the purposes of love, companionship, blessing, procreation and family. As such, it is a reflection and expression of His life-giving, self-giving and moral nature. Genesis 1:26-28; Genesis 2:18, 21-25; Mark 10:6-9, Psalm 139:13-16. We believe that humanity was alienated from God by Adam’s sin and it is now man’s nature to be disobedient to God. However, man still bears God’s image and thus has dignity and worth. Nevertheless, man’s sin causes him to be separated from a life-giving relationship with God and utterly lost. Genesis 2:15-17; Romans 3:11; Romans 5:12; Genesis 3. We believe that Jesus Christ was conceived by the Holy Spirit, born of the Virgin Mary and that He is both undiminished deity and genuine humanity in one person forever. John 1:1; Matthew 1:20-21; Philippians 2:7. We believe that entrance into a state of fellowship with God is secured entirely by God’s grace through a person’s belief that Jesus Christ bore our sins in His sacrificial death, was bodily resurrected from the dead and was glorified as Lord and Ruler of all creation. This faith and the outworking of it are evidence of God’s salvation unto eternal life. John 1:12; I Timothy 2:6; Romans 10:9; Ephesians 2:8-10. We believe Jesus Christ is the head of “one holy catholic* and apostolic Church,” the universal body of Christians. His authority is typically and practically expressed through local churches and through families. Parents are responsible to raise their children in the “discipline and instruction of the Lord.” 1 Peter 2:4-6; Ephesians 4:11-16; Ephesians 5:21-6:4; Deuteronomy 6:4-7. We believe the Holy Spirit witnesses to Jesus Christ, convicts men of sin, regenerates them from spiritual death to spiritual life and is responsible for continuing the work of Christ in believers. Christians are thus enabled by His indwelling presence to enjoy God and to grow in Christ-likeness. The chief means and fruit of growth are: intimacy with God through the study and observance of His Word, prayer, worship and the sacraments, active love of fellow Christians and being salt and light to the world. John 16:13-14; John 16:8; Titus 3:5-6; II Peter 1:5-8; John 17:17; Colossians 3:14-17; Matthew 5:13-16. We believe the 66 books of Holy Scripture as originally given are the complete Word of God, without error, divinely inspired, recorded by men and are the supreme and final authority in faith and life. II Timothy 3:16; II Peter 1:21; Hebrews 4:12-13.